Should in case you brick your Samsung Galaxy C9 Pro SM-C9000 Device and you need to unbrick it, what you need is the stock firmware. 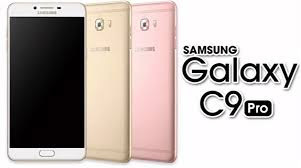 For that reason, this page contains Samsung Galaxy C9 Pro SM-C9000 Stock ROM/Firmware which allow you to restore or unbrick your Samsung Galaxy C9 Pro SM-C9000 device's to it's original factory state, you can also use the file to upgrade your phone to the latest version. You will find these below files useful if you have custom ROM/Firmware installed on your device or if your device got bricked. Download any version factory image you need below.